Lazy, disengaged? Let me help you decide who to vote for in the US. I’m a Marketer at heart – and I like pretty pictures and big data simplified. I can also be lazy, disengaged and get bored easily if I don’t understand what people are talking about. (I’m working on that….). 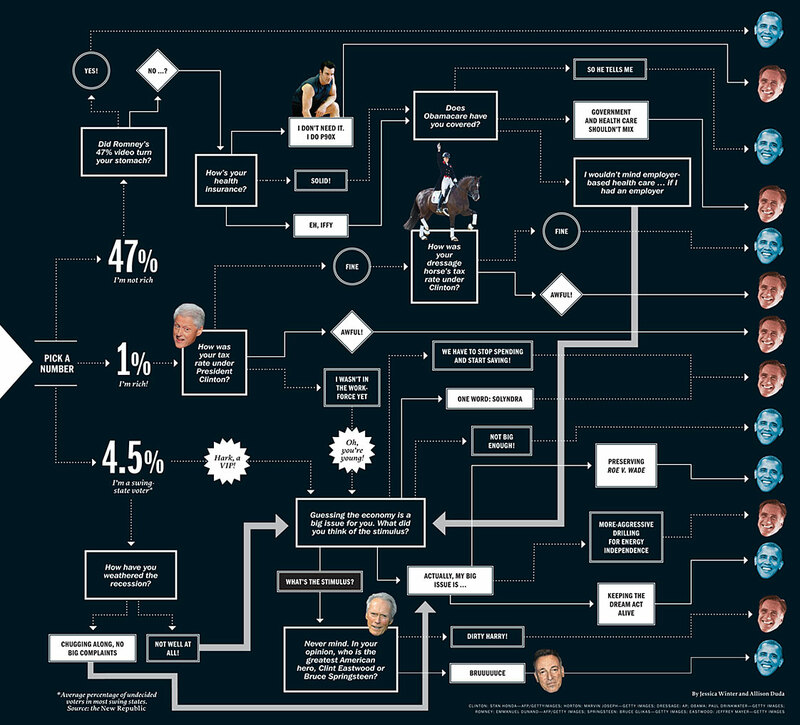 I can across this great infographic today from the smart people at Time magazine who have made it much easier for lazy, pretty picture lovin’ Marketers to make a decision on who to vote for in the election on Tuesday.